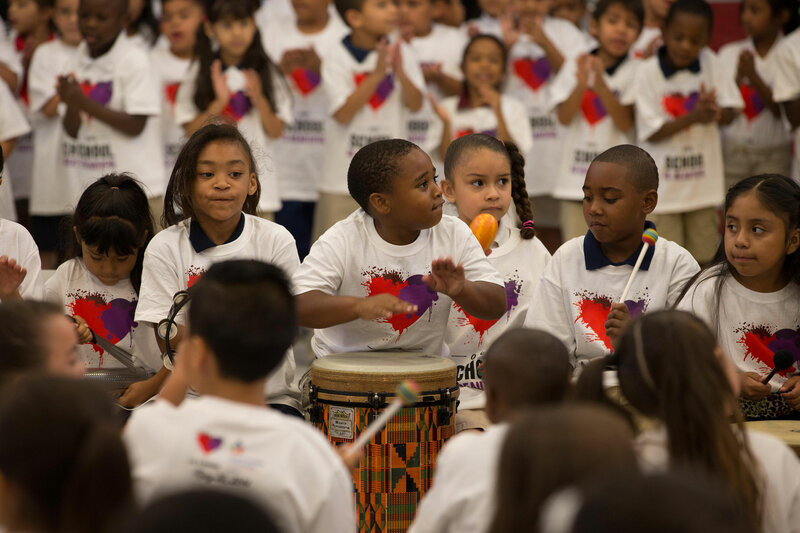 LAS VEGAS, Feb. 18, 2015 /PRNewswire/ -- The team behind the internationally-acclaimed Life is Beautiful music, food, art and learning festival announced a new initiative, Our School is Beautiful, on Tuesday, Feb. 17. In collaboration with its inaugural partner, Communities in Schools of Nevada (CIS of Nevada), the Nevada affiliate of the nation's leading dropout prevention program, Our School is Beautiful aims to empower at-risk students with pride in their schools, their community and in themselves. "Life is Beautiful was created to make a positive impact on the communities in which we operate," said Rehan Choudhry, founder of Life is Beautiful. "We aim to give people the tools and perspective needed to continue to see that life is beautiful and full of opportunity and hope. With Our School is Beautiful, we are working with incredible partners to focus our efforts on our Nevada children attending at-risk schools." At a private assembly held inside Las Vegas' William H. "Bob" Bailey Middle School, more than 500 students gathered with Clark County School District (CCSD) staff and administration for a special video presentation to introduce the new initiative. The video recapped a day-long event that sought to remind students that they are not forgotten, they have potential and they are special, all while educating and empowering them. 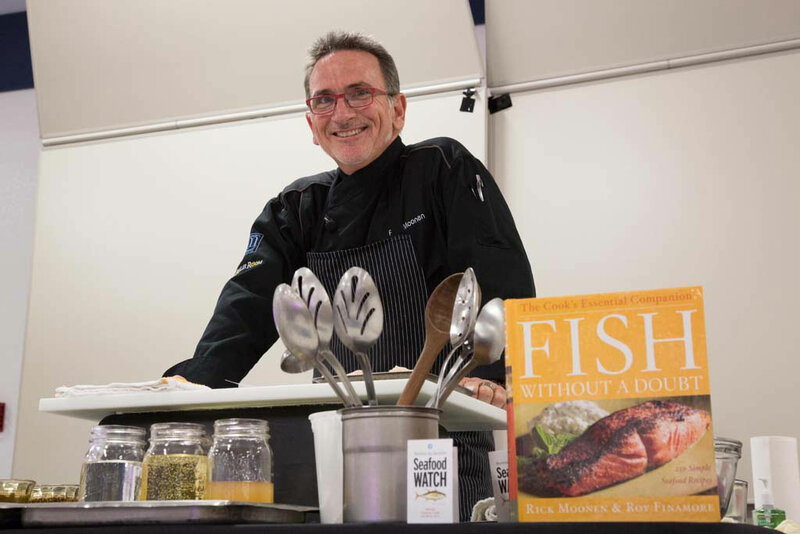 The day was elevated with participation from a variety of celebrities including chefs Rick Moonen and Bruce Bromberg, UFC fighter Miesha Tate, The Killers' lead singer Brandon Flowers and GRAMMY-winning band Imagine Dragons. "With the help of Life is Beautiful, students who face daily challenges were able to enjoy this special and magical event which planted the seed of hope in so many and reminded our students of their potential," said Diane Fearon, chief executive officer of CIS of Nevada. "This event, combined with the reinforcement of the mentor relationship many students have with CIS of Nevada site coordinators at school every day provides great support and inspiration to low-income, high-risk students." "Nevada has the lowest-rated public education in America right now," said Robert Reynolds of Reynolds Management and manager of Flowers. "That needs to change. I went to Bonanza. Brandon went to Chaparral. Like anyone who grew up here, we were happy to help." "I knew we had to get involved in the effort as soon as Rehan and the Communities in Schools team told us the general concept of taking three at risk schools and helping turn them around," said Mac Reynolds of Reynolds Management and manager of Imagine Dragons. 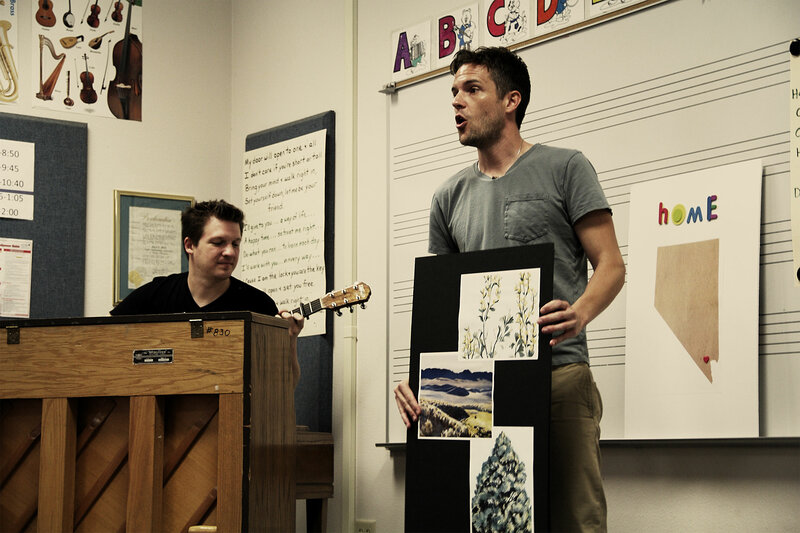 "Dan [Reynolds, lead singer of Imagine Dragons] and I grew up in Las Vegas and attended public schools not too different from the ones we visited. Having your own kids makes you realize just how important it is to foster an environment where they feel empowered and full of hope. This program does just that." At Tuesday's announcement, Bailey Middle School Principal Greg Cole, along with Choudhry, addressed the students before playing a 10-minute video that captured the day and explained the process behind and importance of Our School is Beautiful.